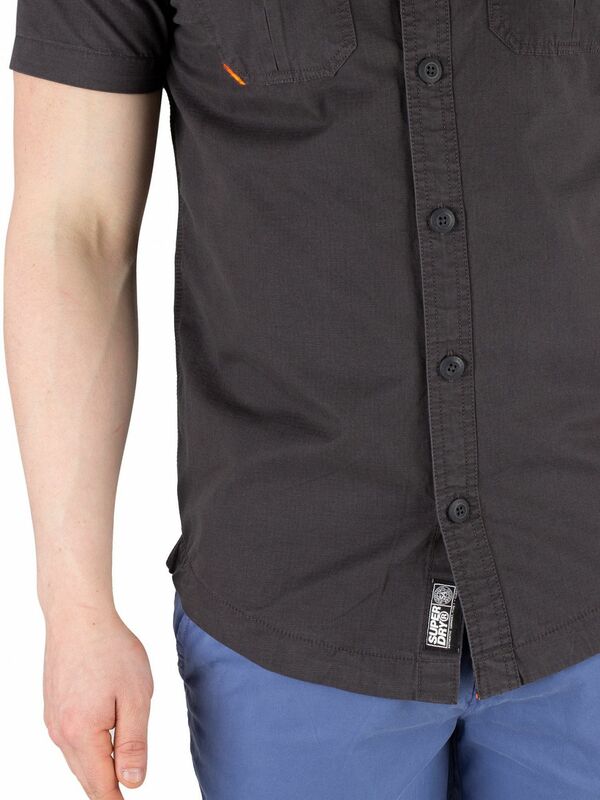 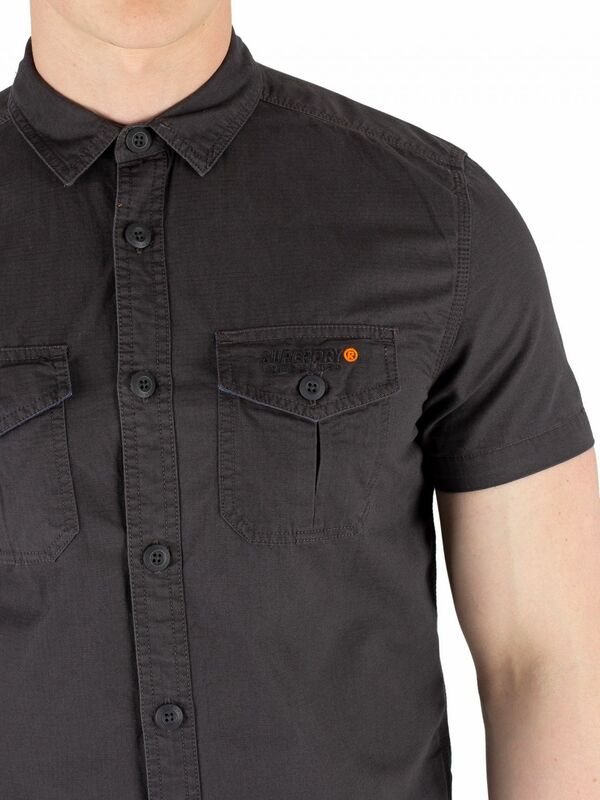 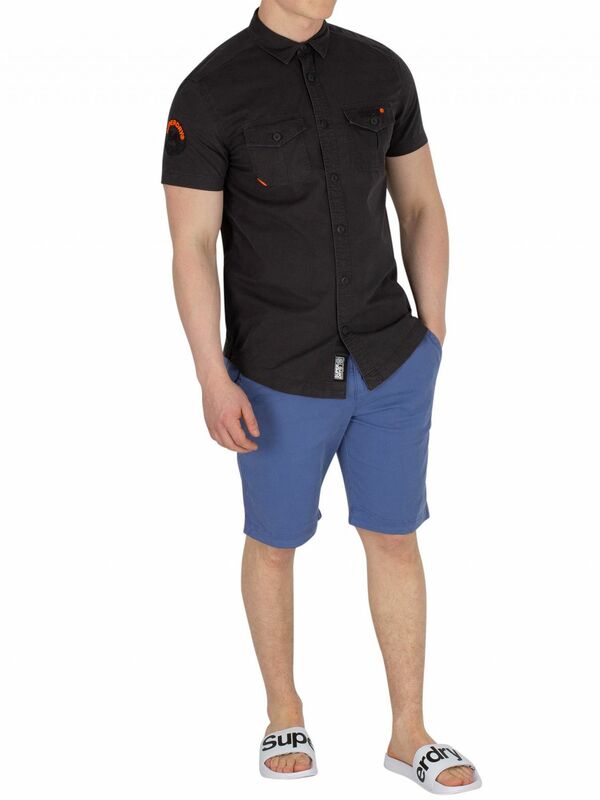 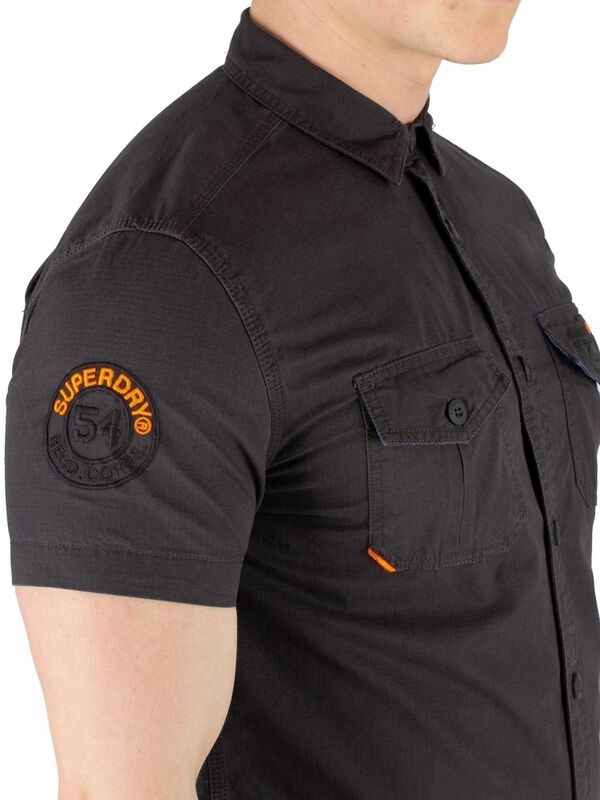 The Short sleeved Rookie Parachute Lite Shirt from Superdry comes in Washed Black colour, featuring a spread collar and button closure with branded buttons. 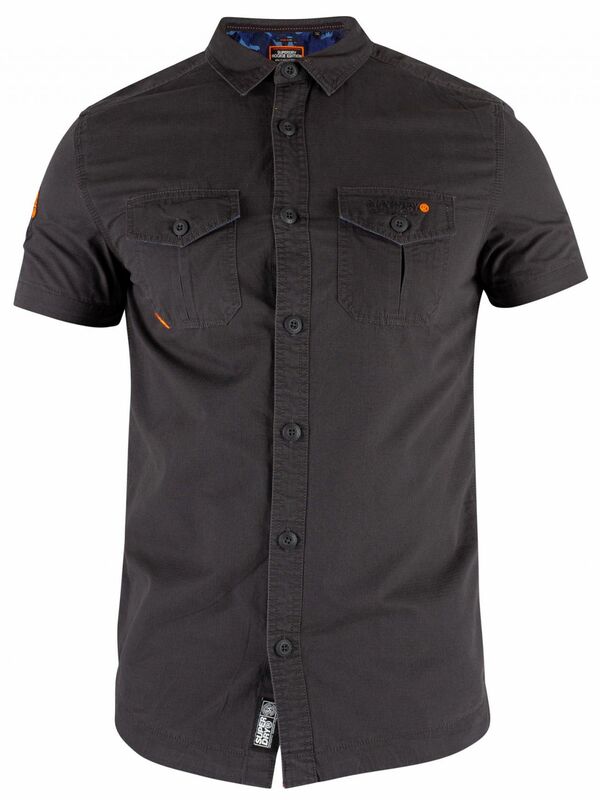 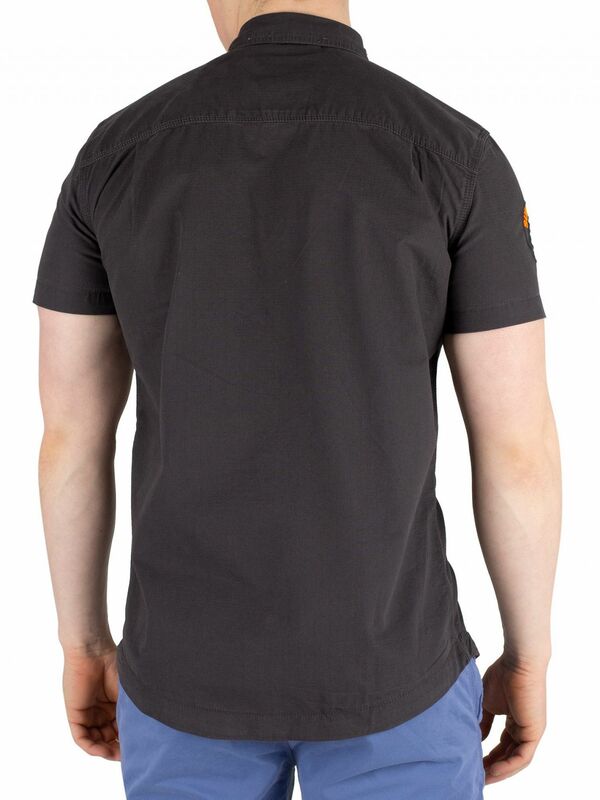 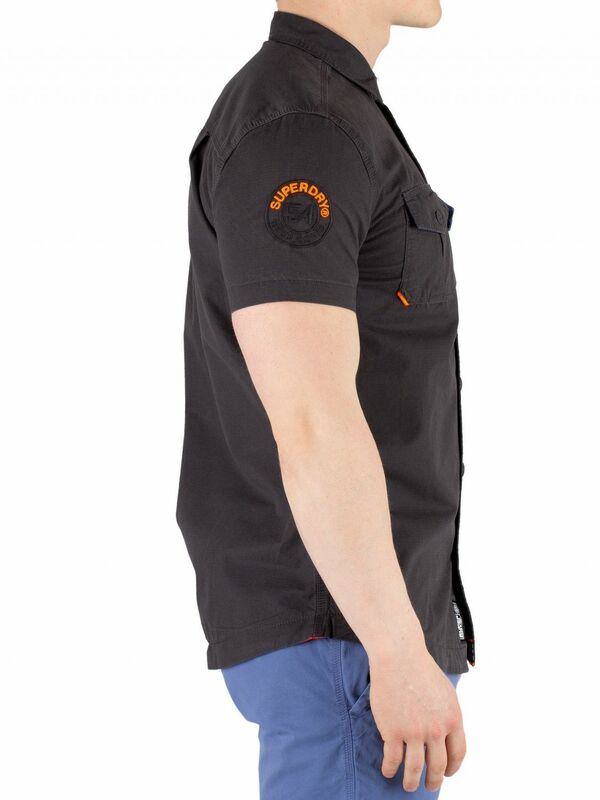 Coming with short sleeves and a curved hem, this shirt for men sports buttoned chest pockets with embroidered logo. 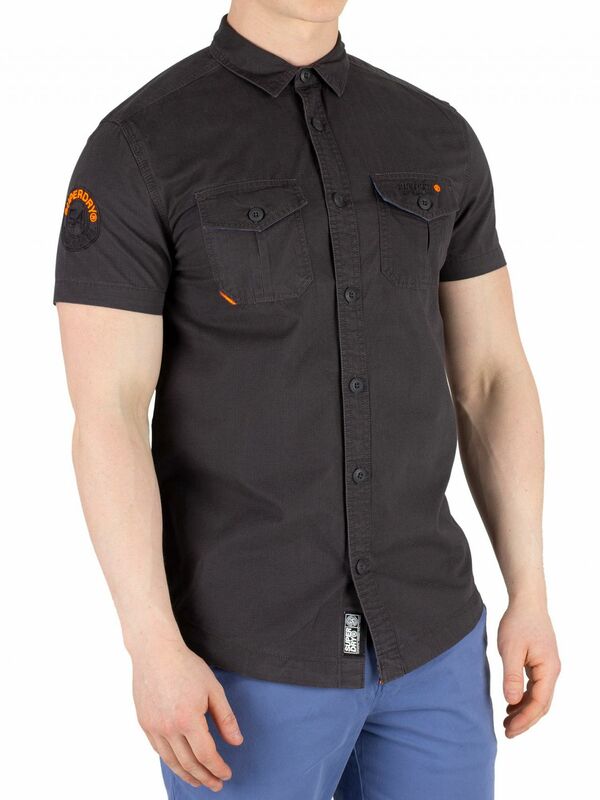 Featuring an embroidered branding on right sleeve, this shirt is branded inside of hem.